Manali is one of the most romantic destinations for honeymoon in India, also known as the ‘Valley of the Gods’. 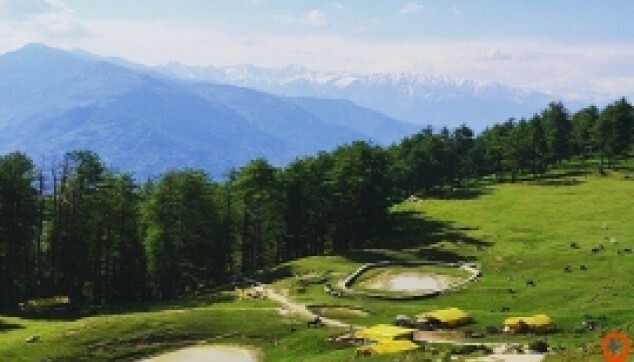 Manali offers numerous panoramic glances, snow white mountains, monasteries, temples, and so various adventurous activities include Paragliding, hiking, mountaineering, skiing, mountain biking, and trekking. Enjoy the comfortable and smooth journey through Luxury Volvo Bus. Admire the scenic beauty of Manali. 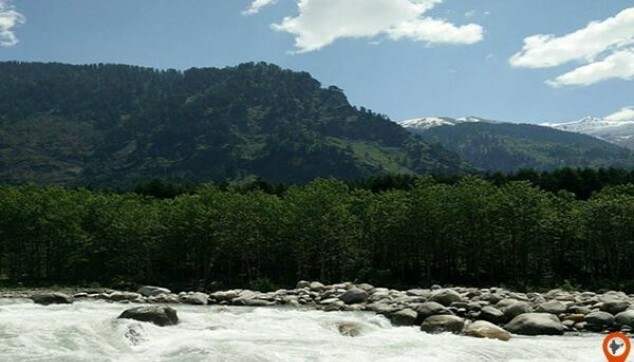 Explore the major attractions of Kullu and Manikaran. Visit the Rohtang Pass hill. Have an amazing glimpse of sunrise and sunset through the hilly valleys. Spend a delightful and romantic time with your soul-mate. In the evening between 5-6 p.m., board into the luxury Volvo bus for an overnight journey from New Delhi to Manali. En-route, there will be a stop for dinner (own expense). After the overnight journey, you will reach to Manali, where one of our representatives will meet and greet you and take you to the hotel. where you can enjoy breakfast, Later the day will be free for your own relaxation and activities. Enjoy complimentary candle light dinner in the hotel. After a savory breakfast, our chauffeur will take you for the Manali tour package initiate with the visit to Kullu and Manikaran. Some famous places to visit in Kullu are Raghunath Temple, Bijli Mahadev Temple, Pandoh Dam, Parvati Valley, Hanogi Mata temple, and Malana. There is some things to do in Kullu are Rafting and fishing (direct payment basis our driver will help) . Then, overnight stay at a hotel after the appetizing dinner. After a tempting breakfast, our representative will take you to the Manali sightseeing from the Hotel. This day tour to Manali covers the places like Hadimba Devi Temple, Vashisht Temple, Tibetan-Monastery and Club House. At the end of the day, overnight stay in the hotel followed by the mouth-watering dinner. After having a delectable breakfast in the hotel, our driver will take you for the day trip to Rohtang Pass hill. Here, you can enjoy the mesmerizing natural beauty of the place. In case, if Rohtang Pass is closed due to snow fall or lack of permit then, we will take you for the day trip to Solang Valley. Afterward, we will drop you back to the Manali hotel for an overnight stay followed by a palatable dinner. In the Morning after breakfast and check out from the hotel, day free for your own personal activities like shopping or local sightseeing. 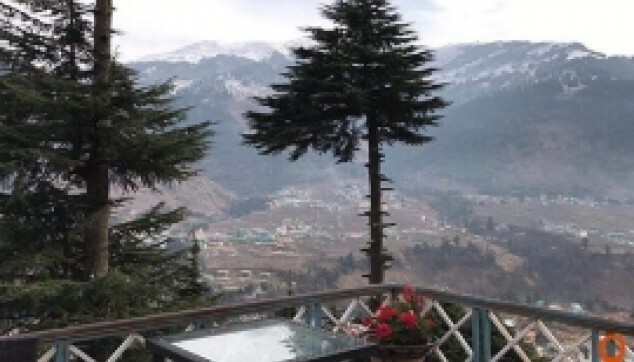 Later, in the evening board in the luxury Volvo bus for your journey towards New Delhi and for this your 4 nights 5 days Manali tour package comes to an end. Morning Tea, Breakfast and Choice of Lunch or Dinner. Complimentary Fruit basket on Arrival. Complimentary use of recreational facilities. Luxury Delhi – Manali – Delhi Volvo bus ticket. All Transfer and sightseeing by small car. Any expenses arising out of unforeseen circumstances like flight delay/cancellation/hike in fare, strike or any other natural calamities. My Flight Trip will assist to find best option. Camera Fee at Monuments if any. Minimum 20% payment will be required at the time of Confirmation of the Tour. 45 Days prior to the commencement of the tour No cancellation charges. Less than 9 days No refund. Meal Definition - Please see meals as per itinerary (B=breakfast, L=lunch, D=dinner).